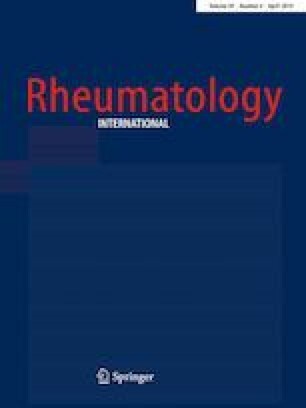 To estimate the agreement level between patient and physician assessment of disease activity and to explore whether agreement is associated with adherence to subcutaneous (SC) biological drugs in rheumatoid arthritis (RA). Cross-sectional study of RA patients who had been prescribed a SC biological drug in the past 12–18 months was performed. Patients and physicians global disease activity on visual analogue scale (VAS) were collected. Disagreement was defined as an absolute difference ≥ 3 points between VAS scores. Adherence was assessed by the Medication Possession Ratio (MPR), considering adherence an MPR > 80%. We analysed 360 patients of whom 15.5% presented disagreement with their physicians. The mean patient global VAS was 5.75 ± 1.8 (median 5.5 [5–7]) in the disagreement group versus 2.7 ± 2.2 (median 2 [1–4]) in the agreement group (p < 0.001). There were also differences in physicians global VAS between groups (p = 0.01). The non-adherence to SC biological drugs rate was 10.7% and 14.5% in the disagreement and agreement groups (p = 0.45). No association between adherence and discordance was found. Disagreement in the global disease activity between patients and physicians was detected in 15.5% of patients. In general, patients perceived higher disease activity. No associations between patient-physician disagreement in VAS and adherence were observed. The authors would like to thank the 42 study investigators for their contribution to patient recruitment and data acquisition, and to the patients involved for their collaboration in completing the study questionnaires. TO was responsible con analysis, interpretation and also for drafting the manuscript. LC, MJA and LCC were responsible for conception, design, analysis and interpretation of data. AUA and JCA were responsible for acquisition of data and interpretation of data. All the authors made substantial contributions and approved the final content of the manuscript. MSD was involve in the design, analysis, and interpretation of the data and writing of the report. The ARCO study was funded by Merck Sharp & Dohme of Spain. Teresa Otón and Loreto Carmona’s institution (InMusc) has received consultancy honoraria from MSD. Outside this project, InMusc has received consultancy honoraria from Abbvie, Astellas, BMS, Eisay, Gebro Pharma, Leo Pharma, Lylly, Novartis, Pfizer, Roche, Sanofi-Aventis and UCB Pharma. Maria J. Arteaga and Luis Cea-Calvo are full time employees at Merck Sharp & Dohme of Spain. The remaining authors declare no conflict of interest. Ethics was approved by the Clinical Research Ethics Committee of Hospital Virgen de la Arrixaca. All subjects consented to participate in the study.